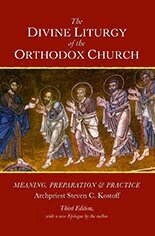 Fr Steven Kostoff's new book, available online from Kaloros Press! ...is pastor of Christ the Savior~Holy Spirit Orthodox Church (OCA), Cincinnati Ohio. 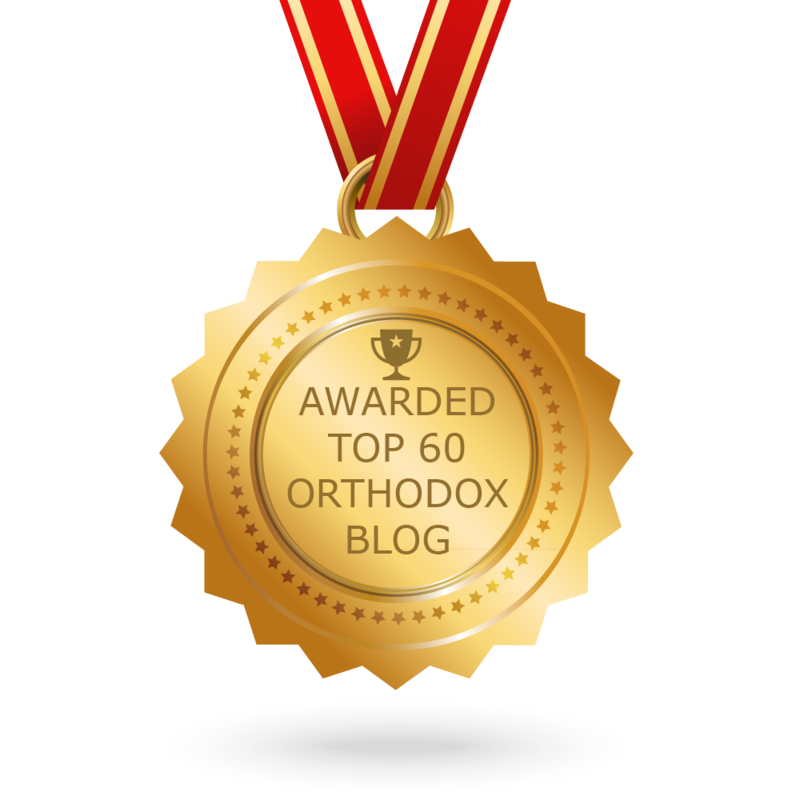 He is also a contributor to OrthodoxyToday.org, and his articles are frequently featured on the OCA website. We welcome you to visit our other pages, and our official parish website. 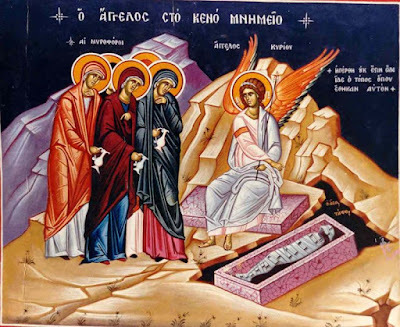 Rejoicing in the "Deathless Death"
The Annunciation: "Today is revealed the mystery..."
What I call our nation's "Secular Pascha" is scheduled for this Sunday, February 3. And that would be Super Bowl LIII. I find it amusing - and rather pretentious - that Roman numerals are used to number the Super Bowl games from year-to-year. All that is missing after LIII is A.D. There is the allusion to classical antiquity, as if an historical event of lasting significance, worthy of being etched in stone, is about to unfold before our rapturous eyes. It is, after all, only a game(!) in what has been famously called the "toy department of life," i.e. the world of North American professional sports. 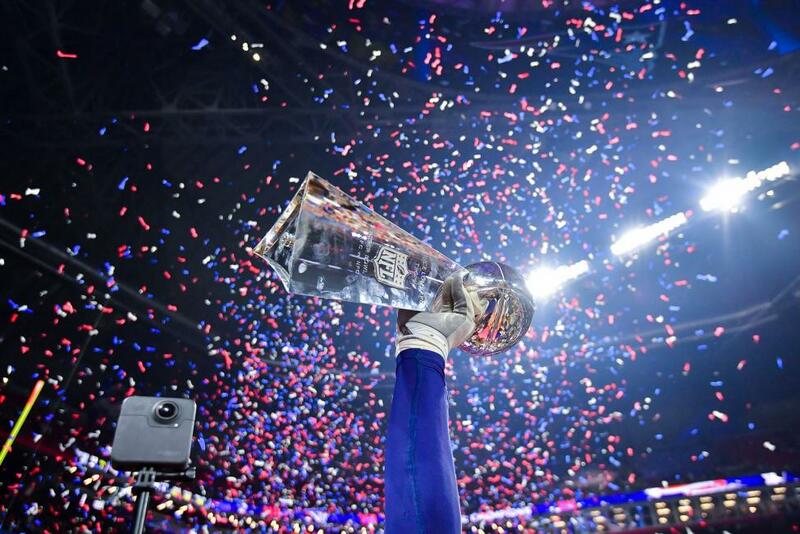 Not only is it the "Super Bowl," but it is played on "Super Sunday." Hence, my claim that this serves as something of a "secular pascha" that energizes a large part of our nation. The interminable and ubiquitous pre-game "hype," the prowess of the military on display at the game, the advertising industry at its most nakedly commercial, and a half-time show that always holds out the possibility of forbidden pleasures, or at least of some level of acceptable public titillation, all contribute to transform this Sunday into the prime secular event of the year. "There is nothing new under the sun," but some (moral) progress has been made over the centuries, however. Even though we still find our major cities as the homes of large stadiums/coliseums that dominate the landscape as a source of civic pride, packed to the brim with enthusiastic crowds intensely loyal to their respective teams; these "games" are no longer gladiatorial combats that culminate in blood and gore (as in the days of the Roman Empire, let us say). Though engaged in what remains a relatively violent game (the concussion and permanent brain damage issues will plague the NFL for years to come), our contemporary "gladiators" are committed to at least a formal display of sportsmanship. And a fairly intricate set of rules that are meant to contain the mayhem on the field thus place concentration on the skill levels needed to dazzle and entertain the cheering crowds (who pay a "pretty penny" for its tickets). So, indeed, progress has been made - at least in North America - because to this day, I still would not want to be a referee in a soccer game in certain other countries of the world! 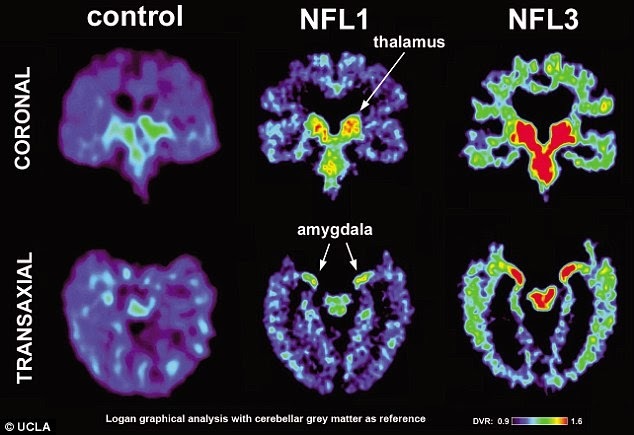 NFL Degenerative Brain Disorder: This slide from UCLA shows the build-up of tau protein (in red) in two former NFL players' brains. Not at all trying to spoil anyone's "party" on Sunday, but simply placing Super Bowl Sunday within a wider context while trying to offer a bit of well-meaning critical commentary that may result in a needed deflation of the game's pretensions to historical significance. A little perspective may prove to be useful. While doing so, I would also like to point out the fact that this Sunday, February 3, is the Afterfeast of one of the great Feast Days of the Church's liturgical year: The Meeting of the Lord in the Temple. On Saturday, the Feast will be celebrated with the Divine Liturgy, preceded by Great Vespers on Friday evening. This "event" will pass unnoticed within our secular society and, I would imagine, only generate faint ripples of enthusiasm within the Church. My pastoral concern is not with our secular society's obsessions, but with our own "priorities." I would like to hope that there exists some familiarity with the liturgical calendar that has hopefully made many of you aware of this coming Feast. This is really a fine example of the "battle of the calendars." I always wonder at what point in the day people sit down in front of their TV sets before the actual Super Bowl game begins. One hour? Two hours? That, I believe, is called "pre-game." I suppose that it is meant to promote excitement and anticipation as well as provide "analysis" leading up to "kick-off." Speaking of "kick-off," I would assume that most fans make every effort to not miss it. Do we, as Orthodox Christians, make the same effort to be present for the beginning of the Divine Liturgy? How do we account for such a disparity of enthusiasm? Are we facing a crisis of misplaced passion, let alone priorities? As I like to say: Once we celebrate the Liturgy on Sunday morning, all else that day is "downhill." We gather in church on the "eve" of the Feast or of any Lord's Day - this is called Great Vespers - as a kind of "initial entry" into the feast itself. We begin to contemplate the extraordinary events that the Feast actualizes for us in an atmosphere of prayer and praise. We will then "depart in peace" with the "oil of gladness" glistening on our foreheads, and bread crumbs in our hands, as we will have been anointed in honor of the Feast as well as having received a piece of blessed bread. 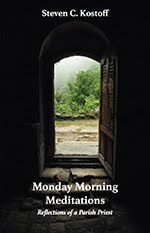 The Hours on Sunday morning that precede the Liturgy provide a modest entry point also. Despite an empty church, we continue to chant these Hours with regularity. Our own Orthodox "Super Sunday" - the Feast Day of Pascha - will be celebrated on April 28 this year. Our great Feast Days cluster around the "Feast of Feasts" like stars will seemingly cluster around the sun. One of those will be celebrated on both Saturday and Sunday of this weekend: The Meeting of the Lord in the Temple. May it gladden our hearts, for as Christ said: "Where your treasure is, there will your heart be also." 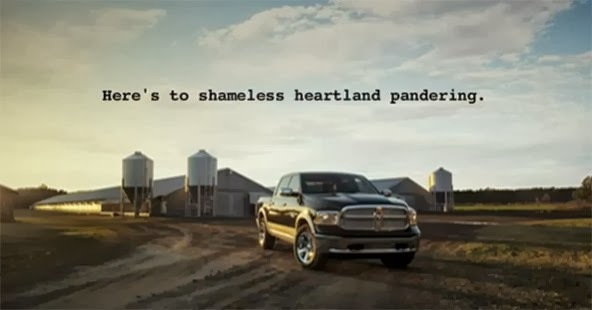 You are welcome to post a comment. Comments are monitored to make sure they are appropriate for our readership. Please observe common courtesy to all. Offensive remarks will be removed.